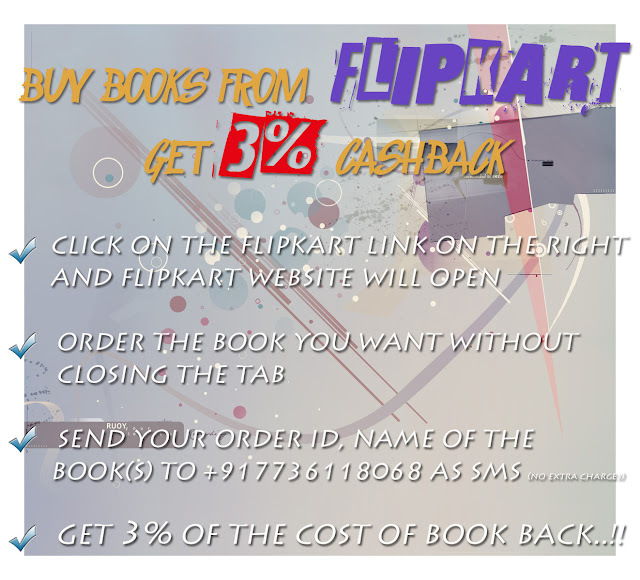 You have to go the flipkart website from the link from the site. The offer not valid if flipkart open from other methods. 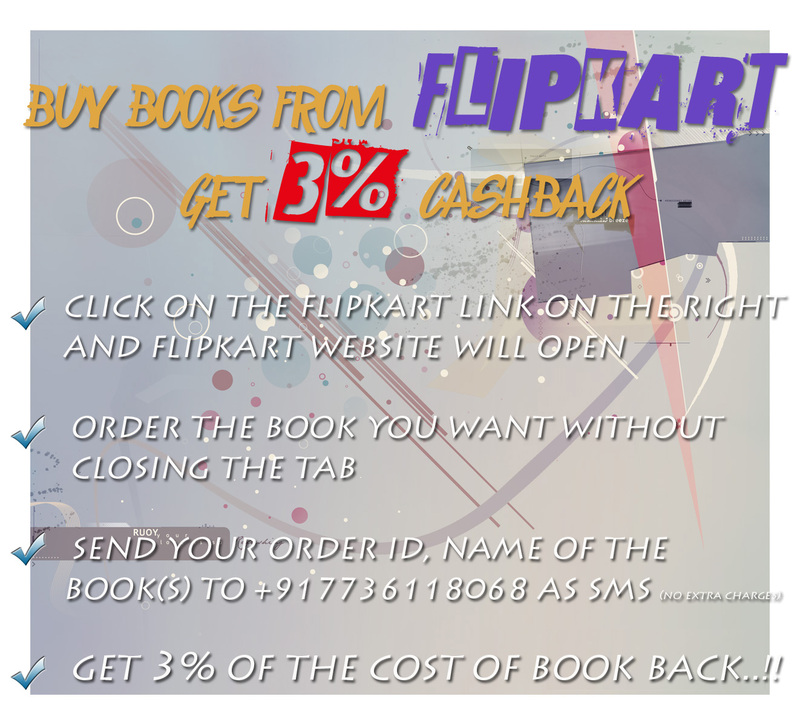 Each time you want to order book go to flipkart from the link seen on your right. There is no extra charges for the sms you send other than charged by your carrier. You can also send sms for online sms sending websites. You can get the money back when it reaches the threshold amount mentioned below. We will contact you by sms when your balance reach threshold amount. The balance will be calculated on your account number which will be same as your mobile number from which you send your sms regarding order id/ track id and name of books you buy. The validity of your balance is LIFETIME. The decision of the owner of website is final. This coupon has no direct link with original flipkart website.